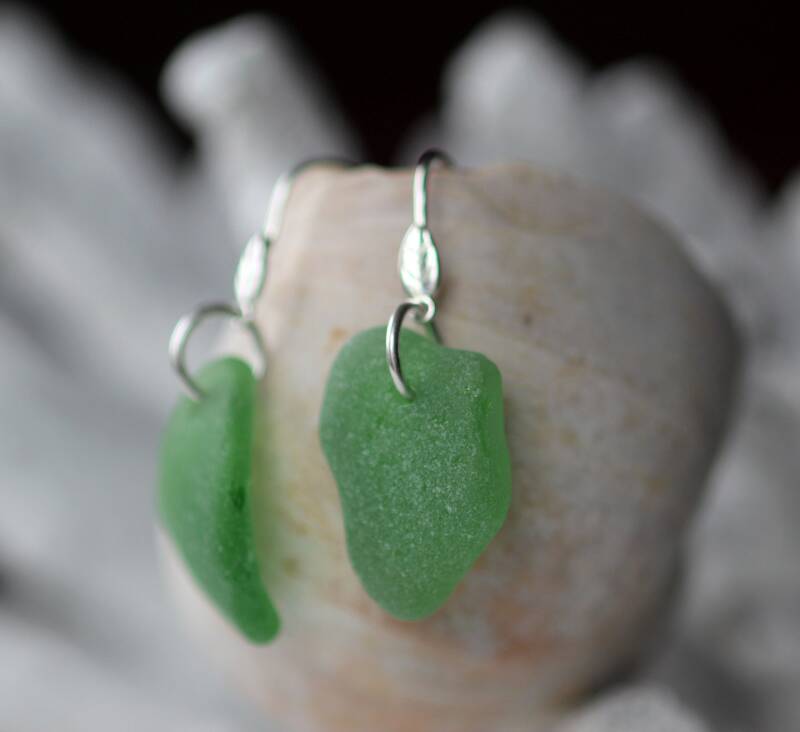 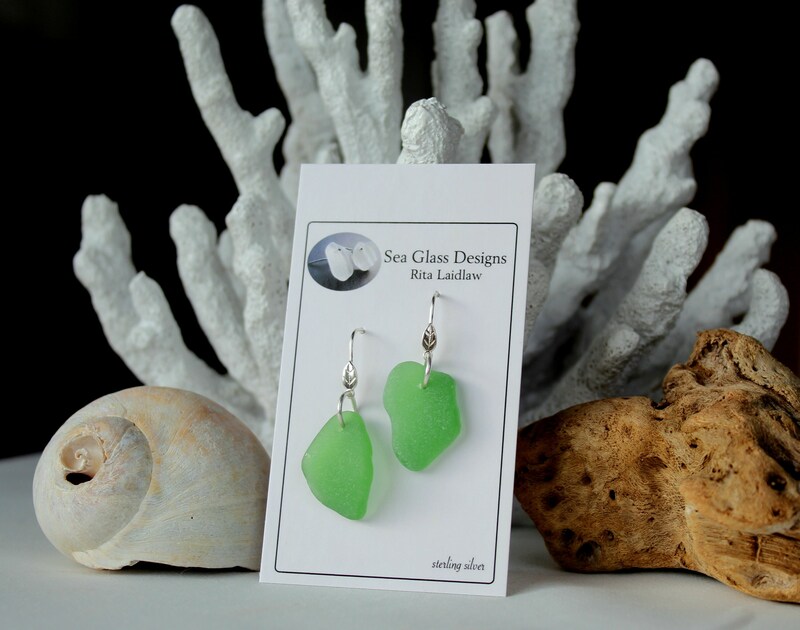 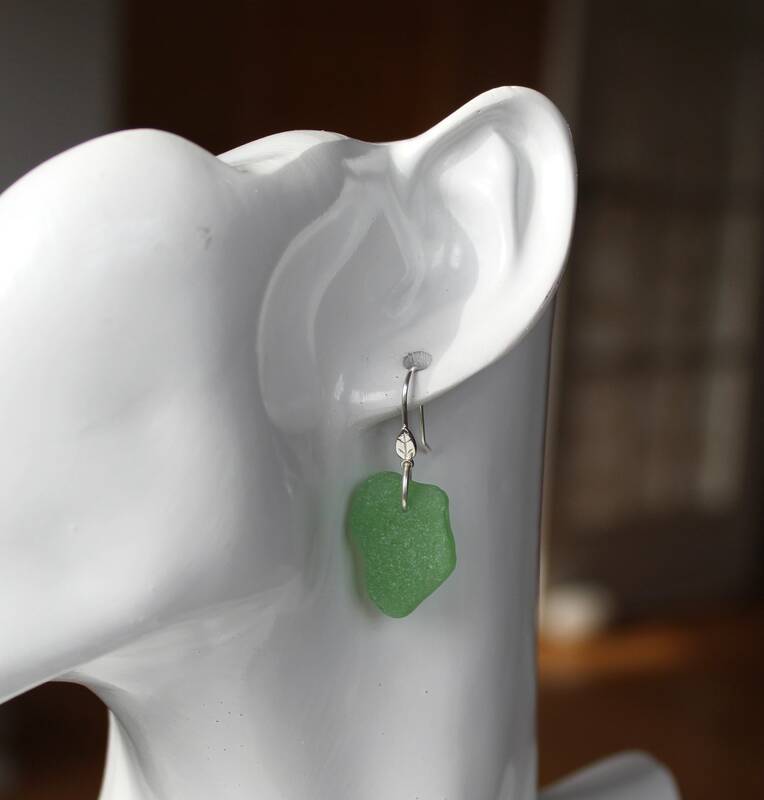 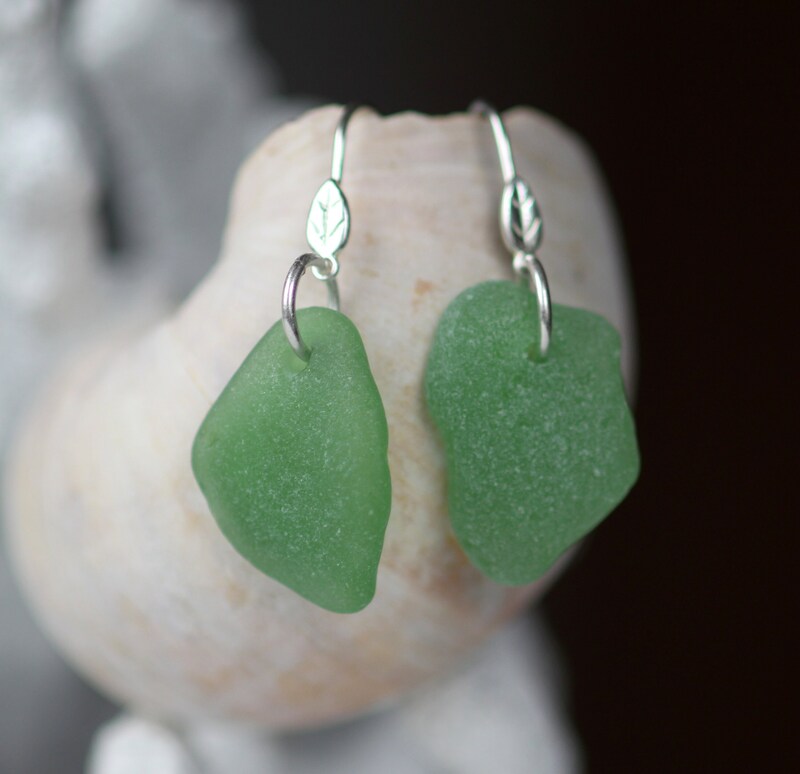 Our Little Leaf sea glass earrings highlight drops of natural green beach glass dangling from sterling silver earwires adorned with tiny leaves. 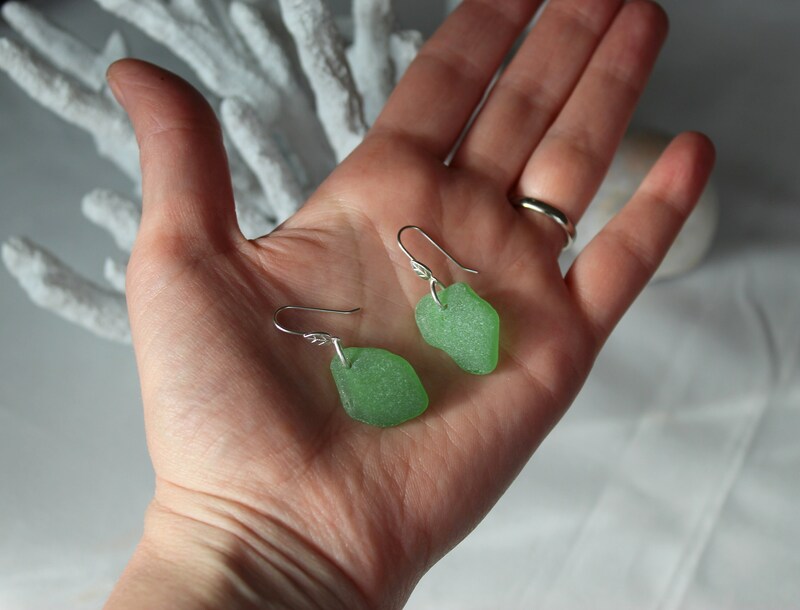 Our lightweight Little Leaf earrings measure 1 3/8 inches in length and will add a splash of happy colour to your wardrobe. 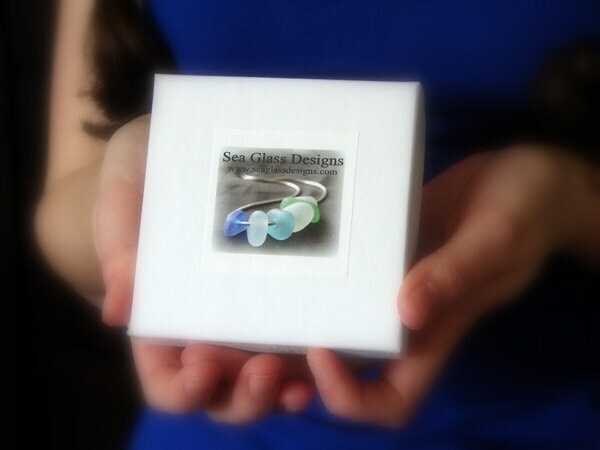 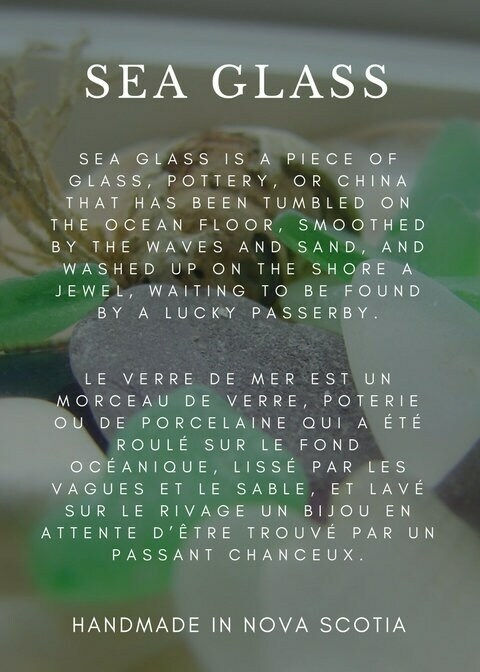 love these :) great communication and a pleasure to purchase from, highly recommend!